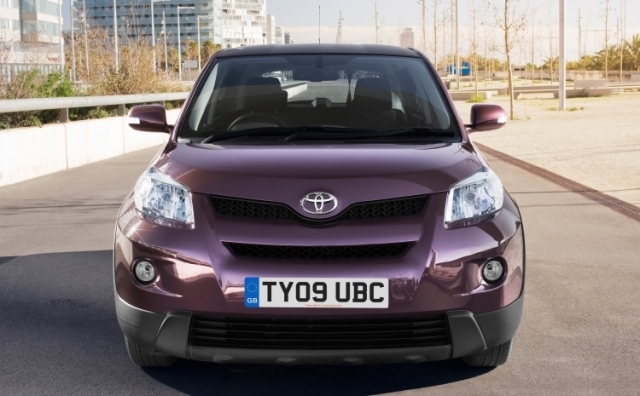 Toyota's distinctive Urban Cruiser is a niche model in a growing segment of cars that are probably best described as butch superminis. This small five-seater is a deliberately boxy, subtly aggressive city slicker that has a higher roofline and chunkier shape than the Yaris supermini it's based on. It's been designed for active people who, Toyota's marketing men say, are dissatisfied with conventional small cars. That means it's taking on a wide cross section of rivals, from little soft-roaders like the Daihatsu Terios and Suzuki SX4, to Citroen's small MPV the C3 Picasso, to the Kia Soul. The Japanese are also hoping they can attract customers downsizing from expensive to run SUVs. To boost the Urban Cruiser's rugged credentials, the 1.4-litre D4D diesel model comes with four-wheel-drive but, because the engine's a small, modern and efficient thing, it can still achieve 57.6mpg with CO2 emissions of just 130g/km. That makes this the world's greenest four-wheel-drive. A two-wheel drive 1.3-litre VVTi petrol model is also available at entry-level, and the addition of clever valve timing and a stop-start system make this motor impressively efficient too. The petrol also brings more liveliness to the Urban Cruiser than the diesel - it's happy to be revved hard all day, something you'll need to do because it's short of mid-range urge.